I'm feeling all the feels lately with school back in session and new starts happening all around us. 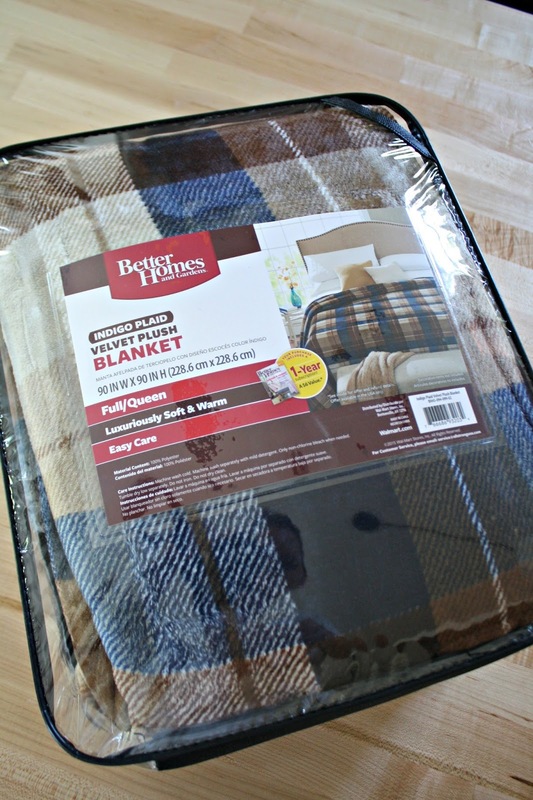 I work with Better Homes and Gardens to show off their products every couple of months and this month the theme was "on the move." I think this applies more than we realize this time of year. I almost put together a basket of items for my son's new teacher, but I didn't want to do so until I knew her a bit better. Then one of my sisters announced she had decided to move out of state so I decided to make it a package for her. She is packing up and starting her cross-country trek to Colorado today so this really was perfect timing. 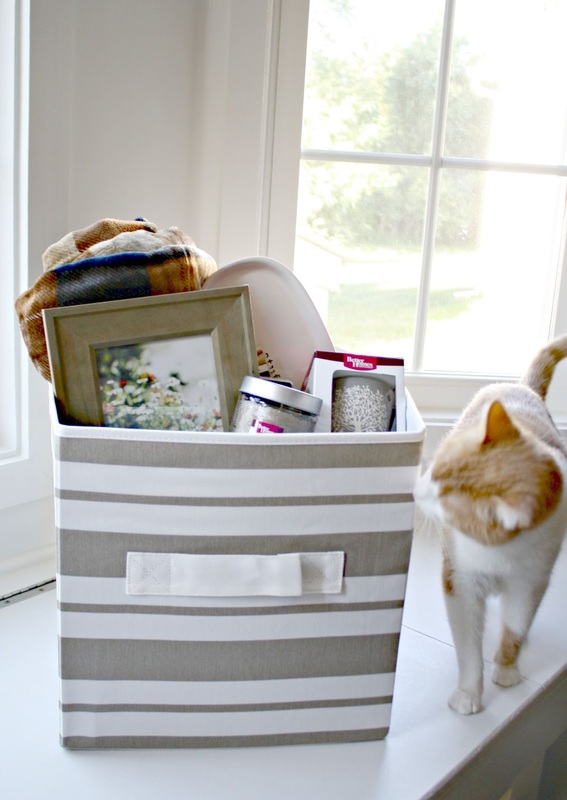 My son and I had SO much fun picking out these items for her new home! I wanted to be cognizant of the fact that I don't know how she'll decorate her new place -- gifting household items can be tricky sometimes. But I found some really cute stuff that I am pretty positive she's going to love. That sticker comes off easily so it's super pretty. These were on clearance, I hope they're not getting rid of them! I am going back for another one of these for myself -- it smells like fall to me. :) I'll also pick up a few for smaller housewarming gifts as well. I'll put a picture of the family in it but I love this option. By the way, if you order this online you get two for less than $8! That's a fantastic price. It is literally the softest blanket I've ever felt. It will be reeeeally hard to put this one in the box and actually send it away. I love the colors for fall and winter and it is so warm and toasty. I would totally use this as a big throw (I find most throws are too small) so if it doesn't work with her bedroom I know she'll still use it. At $6 each it's way cheaper than a big decorative basket. 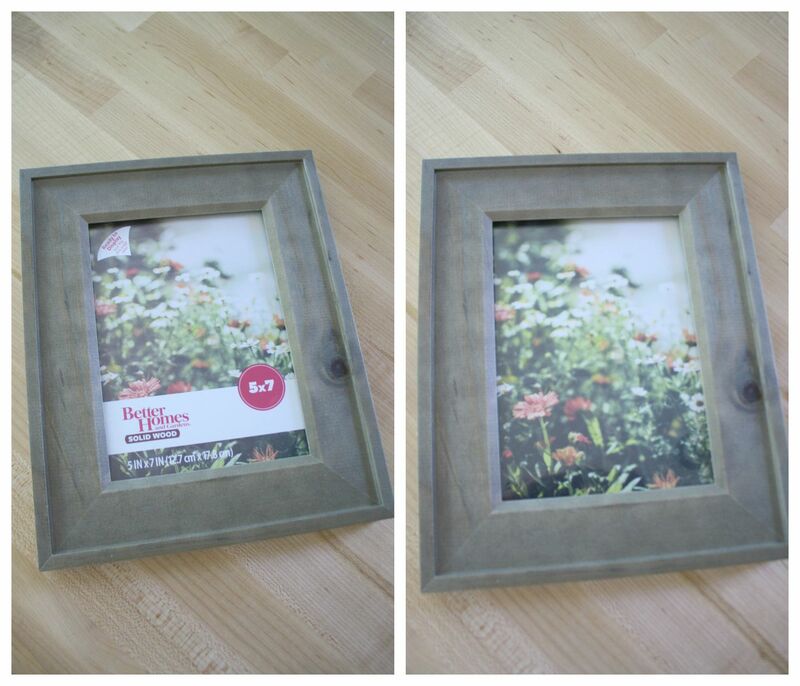 The frame and little tray would be great little gifts for new teachers too! Love it all and love finding super cute stuff for a great price! 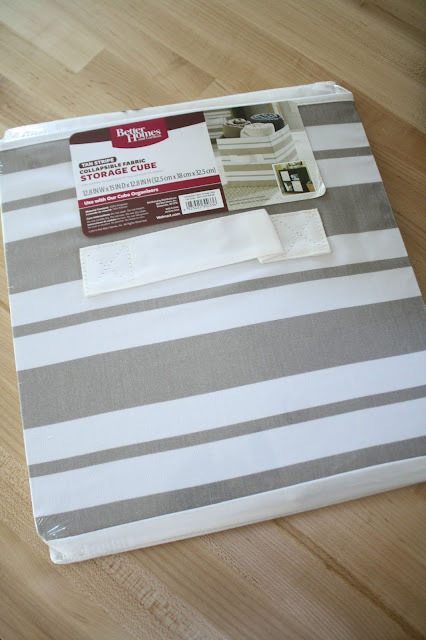 To see how I used BHG in our living room redo, go here. I added some rustic charm to our basement here. And see our fall kitchen table set up using BHG products here. I love housewarmimg gifts. My go to gifts tends towards consumables -- coffee or tea usually. I have given a homemade afghan, but it was a gift after they had been in the house a few months and I knew their colour scheme to pick the yarn. I'm sure your sister will love this! WOW - Next trip to Walmart, Ill be checking some of these things out! 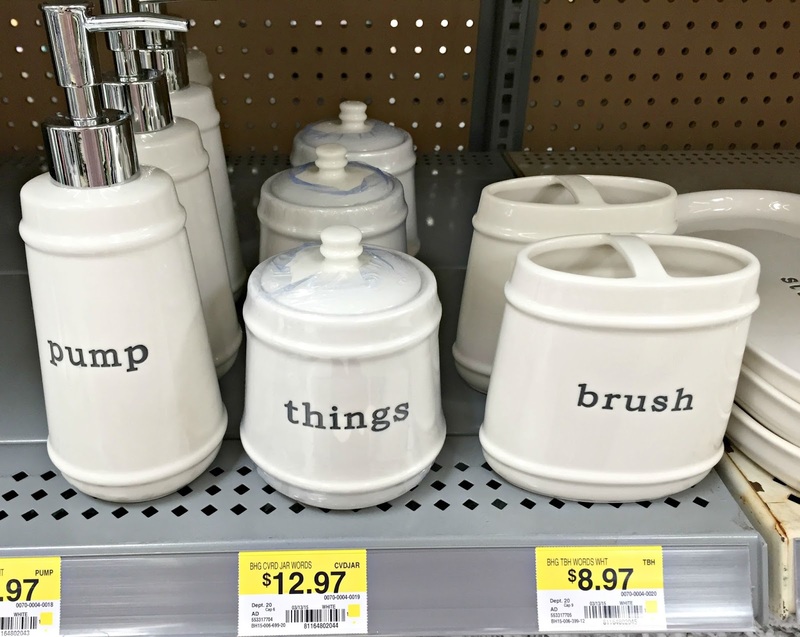 Especially those bathroom accessories! 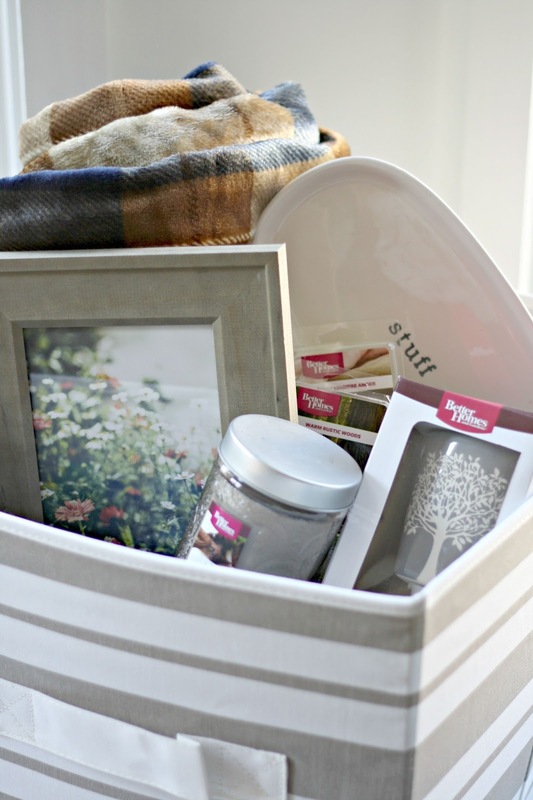 Great housewarming gift, love that plaid throw, so perfect for the upcoming fall season. Your kids already started school? Here in Minnesota, school doesn't start till the middle of September. August seems way too early to be starting school. It's still the middle of summer! The state fair hasn't even started yet. LOL! Love all that stuff!! Such a cute way to welcome someone into a new home!! That blanket is to die for and would be perfecttt for fall!! Think I'll have to head out to grab one soon!! Thanks for sharing all these goodies friend!! 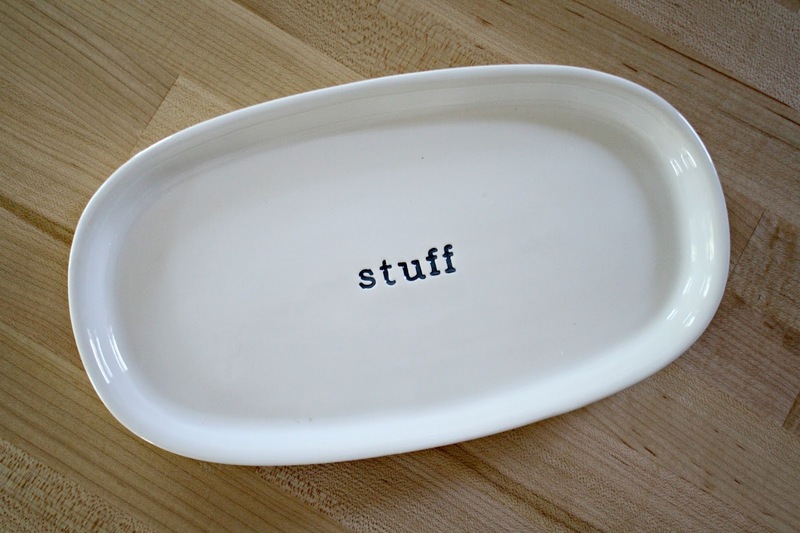 Love the word items and the storage totes. The totes are perfect for storing things in the closet. I've been wanting matching bins. What a loving sister you are! It makes me smile, looking at the collection of things, but a little sad for yo, too....my sister just moved down the road and miss her, too! My Girl is moving to the Big City to start her post-college life on Saturday, so I will tuck a sweet card and a Visa gift card inside - less stuff for her to pack, and I'm sure she will need things once she gets there. The end of summer DOES have a lot of feels, I agree!! I'm in love with the tray and frame! Those may become gift to me! :) I'm sure your sister will love everything and think of you every time she lights that candle. :) Hang in there! Yea! A Colby sighting. What a lovely collection of items-you are a great sister. I can picture using all of them when fall rolls around and the air gets crisp. Right now its hot and humid in Houston but it can't last forever....can it? This just made me in the mood for fall! Also, I wish I was moving to Colorado! Best of luck to your sister!! And look on the bright side, now you get to visit. Hello, mountain va-cay! 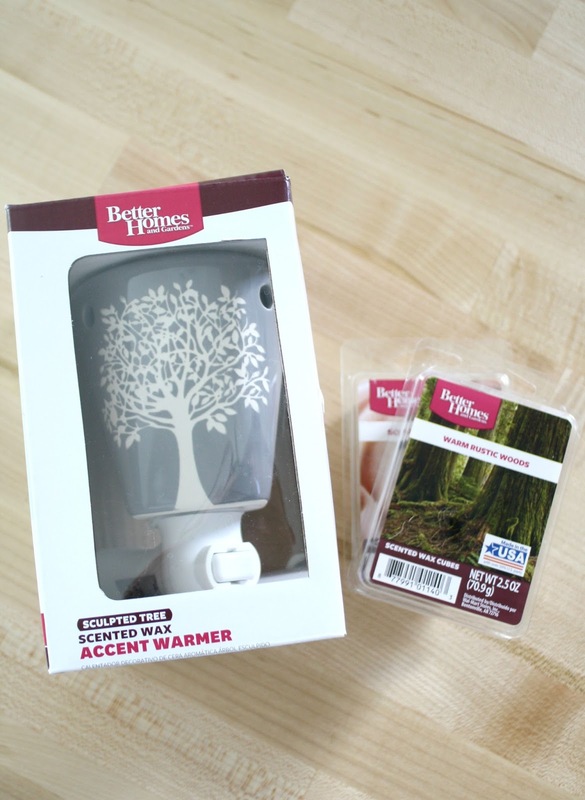 I will be getting the scent warmers tomorrow! 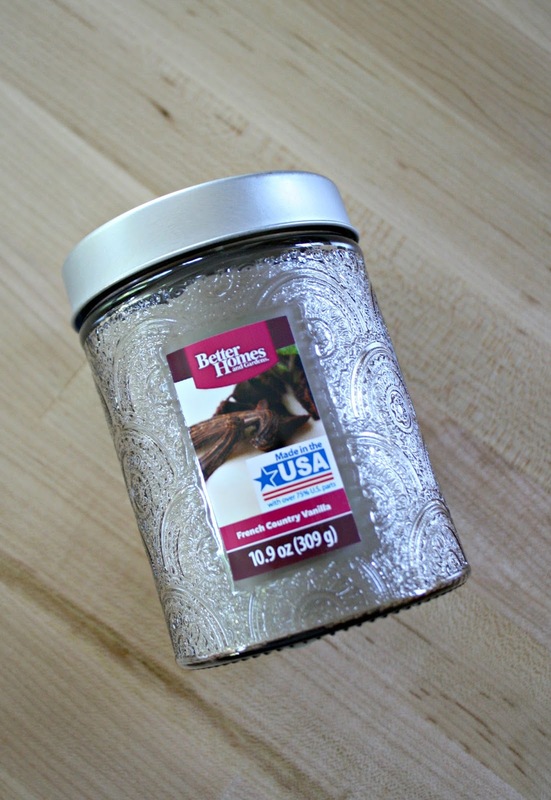 My favorite scented candle of all time is the BH&G Warm Rustic Woods. It reminds me of a manly-man's cologne. 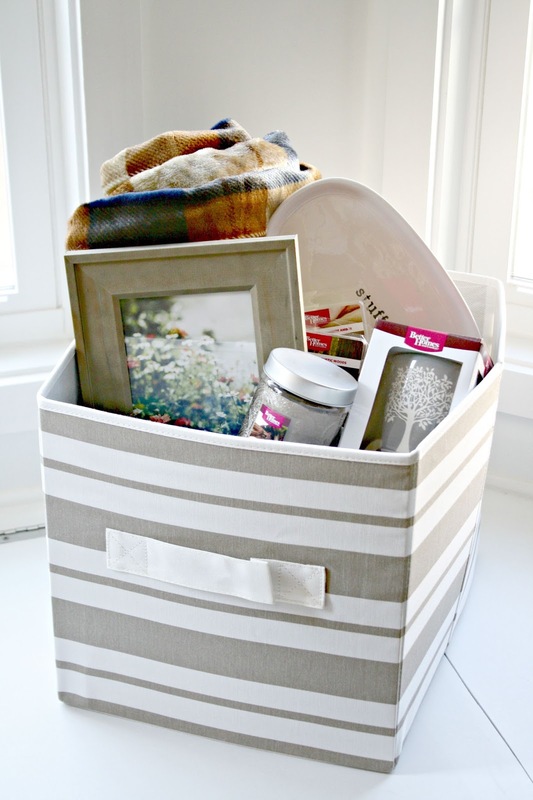 I love all of those items, especially those picture frames! thank you for sharing your new 'season'. I have been bombarded with new seasons these last few months and it is nice to know someone else is experiencing the same thing. Only child goes to first grade in two weeks, just got a puppy, one among many other stressors these last few months, (thought it would be good for him to have a 'playmate') and I am having a very hard time adjusting to it-haven't had an animal in the house for a long time. But then I thought of you, sharing about all your animals and you still have a clean, beautiful, welcoming home, so I just need to adjust to it. So glad you share your talent! Love your lovely home! Looks so nice and comfort! Thanks for sharing!